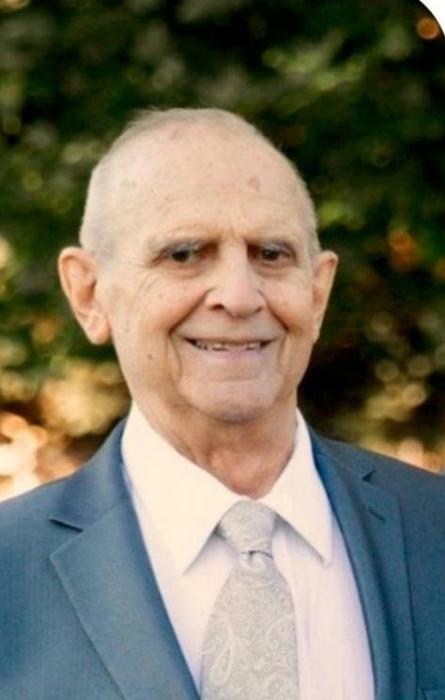 Ellsworth W. Pettey, 81, of Fall River, husband of Patricia Ann (Fallon) Pettey, passed-away on Thursday, January 24, 2019. Mr. Pettey was a proud member of The BMC Durfee class of 54’. After graduating, Ellsworth began working for The Fall River Trust Company, where he would become their Vice President specializing in trusts. When not working, he loved; nature and the outdoors, gardening, and playing softball, football, and volleyball. He later took great joy in attending countless: arts and sports events, and celebrating the achievements of his 12 grandchildren and 5 great-grandchildren. Forever the sportsman, If Ellsworth’s passionate play-calling during NE Patriots’ games had only been heeded, they would now be seeking their 11th Lombardi. Ellsworth was an active member of the Third Baptist Church, where he served for many years as treasurer, and was a member of their choir. He especially enjoyed singing in the annual Christmas Cantatas. Besides his wife of 60 years, he leaves five children, Robin L. Thorpe, David A. Pettey (wife Louise), Donald A. Pettey (wife Joanna), April L. Henry (husband James) and Mark W. Pettey (wife Kate). Although his legendary sense of humor will be missed, his storytelling will not soon be forgotten. A service will be held Thursday, January 31 at 10:30 A.M. at The Third Baptist Church, Stafford Rd. The family will start greeting guests at 10:00 A.M. in the church. Arrangements by Auclair Funeral Home.